@ Homes welcomes Phyllis Bowen, Realtor back to our @Homes family! We couldn’t be happier! I first met Phyllis about 10 years ago while selling a new construction home. She represented the builder and I had the buyer. I immediately knew she was special. (Really!) She was SO knowledgeable about new construction but more importantly, she was honest and upfront about the process and pricing throughout the entire build. We were a team (which is always best for our clients). Phyllis kept me informed which enabled me to help my clients feel safe and not stressed, which typically comes with building a new home. Over the years, we worked on several new homes together. I always knew I could count on her. That is a special quality and I”m grateful to have her by my side again! Phyllis Bowen brings ambition, compassion, and expertise to @Homes Realty. 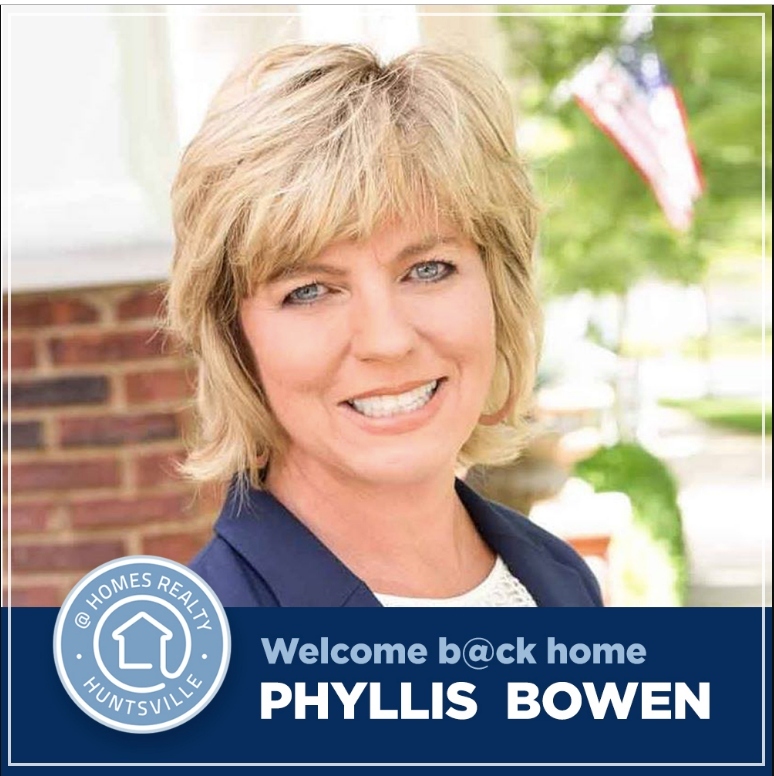 With over 15 years of experience, Phyllis knows the North Alabama real estate market better than most. She spent 10 years in new construction and is one of the BEST advocates to have on your team whether building, purchasing an existing home or selling. After transitioning her career from new construction, she has lead the local market in listings and buyers. Phyllis quickly became one of the top producing agents in North Alabama and with good reason. She knows the market. She knows how to market. She believes in her clients and offers the best customer service the industry has to offer. Phyllis makes a difference in her clients’ lives and believes in making our community a better place for everyone. Whether buying or selling, Phyllis Bowen is one to have by your side. All of us at @ Homes are thankful to have her by our side again!